Dubai columnist shares fascinating takeover insight – & drops big hint about Peter Kenyon’s interest – NUFC blog – Newcastle United blog – NUFC Fixtures, News and Forum. 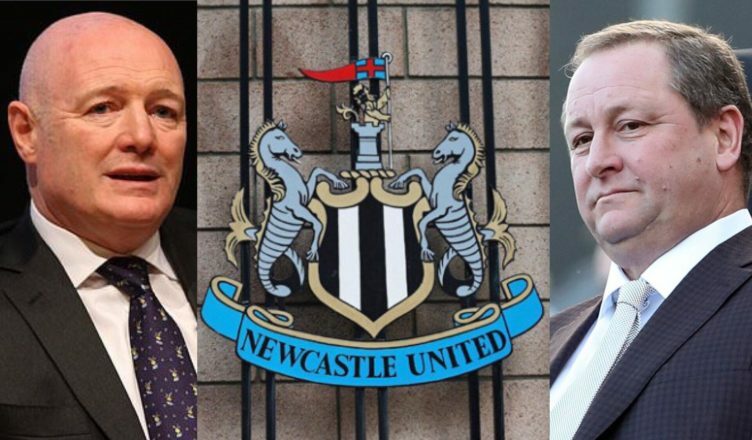 Dubai-based columnist and former NUST member Neil Mitchell has shared a fascinating insight into the latest takeover saga, insisting that Peter Kenyon’s interest was serious – but Mike Ashley’s greed may have got in the way yet again. His piece highlights that a ‘well-placed source’ told him just a ‘few weeks ago’ that Kenyon’s team were inside the club and asking the sort of questions that suggested ‘something big was under way’. As we know, nothing has come of it as of yet and any talk of a takeover has well and truly died down – with us STILL awaiting a statement from Ashley to enlighten us. Word from a well-placed source reached me a few weeks ago that not only was the interest from Peter Kenyon genuine but that accountants and lawyers were in the club and over the course of four or five days asking the kind ‘of questions, both operationally and financially, that seemed to hint something big was under way. ‘Hopes rose and then once again, silence, followed by the bizarre letter leaked to the press and a statement suggesting Mr Kenyon was £100million short. Then we hear he was crowdfunding. Then he was allegedly £200million. It was all curious, to say the least! ‘Now we still await a further statement from Ashley as the drip drip torture of uncertainty continues and the wheels of the PR team’s of the respective players slowly turn. ‘My take? I believe there was genuine interest. I certainly don’t think this was part of an elaborate hoax. I do believe, however, that after a period of investigation Mr Kenyon’s team came to the same conclusion others have: Mike Ashley has significantly overvalued the club whilst continuing to harm his asset by running it like a ghost ship. ‘The letter and press statements all seem like yet another attempt to cast doubts on the credibility of a potential buyer and to deflect from Mr Ashley’s consistent failings and overvaluation of Newcastle United. ‘Running figures around with someone I know very well here in Dubai who was involved in another unsuccessful takeover attempt a few years ago, just to continue the running theme, we came to the conclusion any investors who want to buy NUFC are looking at needing a war chest of around £500million, and that’s assuming you can get the club for this person’s estimated current value of £250million to £280million. ‘He believes this is what Peter Kenyon thought he would be able to get the club for. The level of investment needed in the team as it stands – along with the training ground, Academy and infrastructure needs – means anyone buying has to make significant investment just to catch up with mid-tier Premier League teams. The first sentence of the last line is quite significant. It’s easy for us to sit here and ask the likes of Staveley and Kenyon to just ‘pay up’ and match Ashley’s price to get it over and done with, but this is a matter of millions (where huge investment is needed after the deal is done), not a matter of pounds and pence. Takeover talk has become tedious at best, but this is a brilliant insight from Mitchell and a closer look at the latest saga that failed to materialise. We live in hope – but certainly not in expectation after countless failed ‘attempts’ to sell from Ashley over the past few years. And this is exactly why I have cancelled my season ticket 27 years. Well, there’s one flaw in the the £500 million claim. That would presume someone coming in and doing everything from day one, immediately. Unless we find another Sheikh then it’s unlikely. The priority would be the first team. Improve that and performances then grow the commercial / match-day revenue – presuming of course Fatty hasn’t retained a strangle hold on merchandise and advertising. Facilities investment will follow. A real five year plan. Said when Staveley was interested that he has the club valued to high for what it is actually worth, Rockerfeller Capital as a company are not worth $15bn by making bad investments which at Ashley price for us is a bad one, £300m and it’s gonna cost more than £200m to get a SQUAD not 11 players no more it’s a SQUAD now a days to compete properly and that’s gonna cost a lot more than ,£200m your looking at over a billion pounds to put us anywhere near the heights of Man Utd or Spurs now…. Be quite honest with you Olly, fed up listening and reading about all this. He is not selling so shouldn’t we just concentrate on the current issues rather than what if. Fair point mate – although we can’t categorically say he’s never selling can we.. In fairness I do try and focus on the current issues, but some insights into highly sensitive topics are sometimes welcome. Thought Mitchell’s bit on the takeover was pretty interesting and made some very valid points that some forget about. I enjoy reading your news, Olly, thanks for the insight… keep it up! Good read Olly, pretty much what i had expected was going on. He’s likely got his fat paws on every single money making aspect of the club which would be one hell of a job to untangle too. God only knows what strangleholds he has on nufc . Neil Mitchell’s ‘insight’ into the takeover first appeared in an article on 12 May 2015 and again on 9 September 2018. This is the third time he has given an insight as far as I can tell, nothing has happened yet. He just recently massively impacted on the chances of selling by killing any chance of expanding SJP, if I were buying Newcastle, I’d want to be buying what Ashley bought when he bought Newcastle, is fractured the club up into so many parts and repackaged it all under Mash holdings, we don’t even know what he’s actually selling when he says “the club” is up for sale. Then of course all the catches he’ll have in play, it would be like me selling my house but then dictating what brand of TV was allowed in it and what colour the door had to be and which repairs contractors could be used for the next 10 years, before telling the perspective buyer that the back garden isn’t actually part of the sale because you sold that to someone else last year. Would my house sale ever go through? Would I sell the back garden off if I genuinely wanted to successfully sell my house? Whats newsworthy about this Olly? No new information , just another opinion from a guy who claims to know someone who knows someone. Thumper76 – Rockerfeller Capital are not worth 15 billion. They have 15 billion under management that all belongs to someone else. This time last year I was managing almost a billion pounds worth of assets for a company in Abu Dhabi. Does that make me worth a billion pounds? Let me just check the bank statement…..